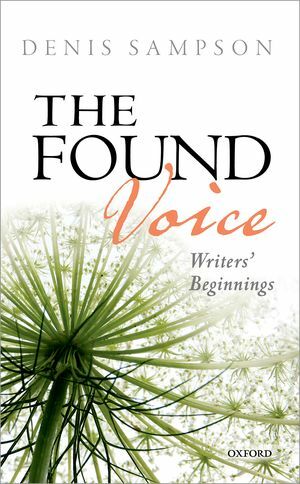 The Found Voice: Writers’ Beginnings uses the means of literary biography and criticism to do something rarely attempted—to understand how a key creative period establishes the authoritative voice of a unique artist. The essays which explore this hidden process of the writer writing focus on some of the major writers of recent times, V.S. Naipaul, J.M. Coetzee, Alice Munro, William Trevor, and Mavis Gallant. The focus of investigation is a single work by each author, and many of them identify the book in which this turning point was reached. The writers have a somewhat different sense of what the voice is, ‘a true voice’, ‘the voice in the mind’, ‘the writing voice’, etc., yet all of them accept the phrase ‘finding a voice’ as a decisive and necessary process towards a unique style and vision, their raison d’être as artists. These essays allow each one to define his or her sense of the process of writing, and their style is exploratory. Nevertheless, certain patterns emerge, of migration and cultural displacement, of linguistic self-consciousness, of memory and a reimagining of the first home, of absorbing and rejecting mentors and models. Crucially, the essays rely not just on what led up to the moment of creation but on a sense of the career that emerged from it. Most of the writers have written retrospectively in memoirs, interviews or essays about the pivotal work and its foundational significance. They are the best witnesses to the process, although their silence or their commentary is understood in terms of the many strands of the narrative that each essay presents. A full-page review was published in the Times Literary Supplement, August 17 & 26, 2017. A feature article on the writing of The Found Voice was published in the Irish Times, 6 May, and it was reviewed there on 16 July. It was chosen by The Gazette (Montreal) as one of the best books of 2016.